Background: Globally, almost half of all remaining tropical forest is allocated for timber production, illustrating the enormous economic asset that these forests represent to many nations. 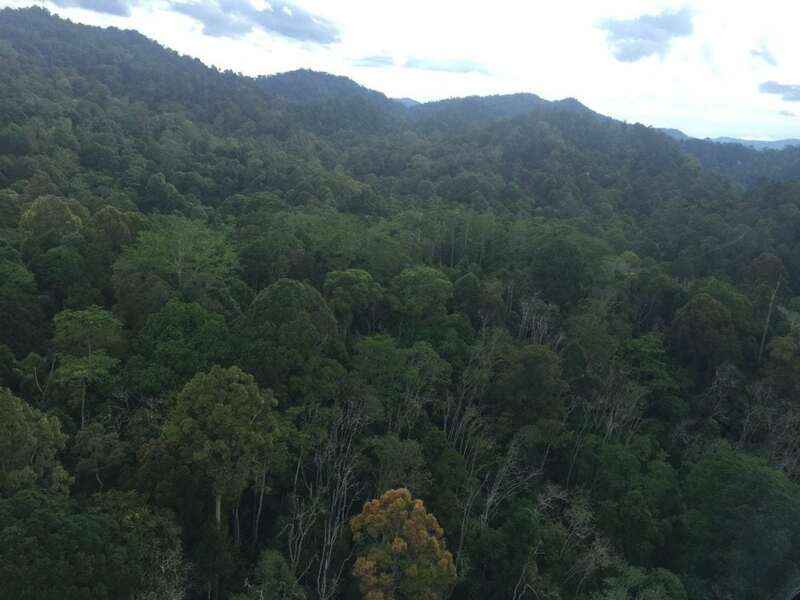 Additionally though, these forests provide important societal and ecosystem services, from being sources of food through to climate change mitigation and generating income from carbon offset schemes. Critically though, with the ever increasing exploitation of primary tropical forests, the economic and societal importance of previously logged and degraded forests has become much greater in recent years. However, it’s fair to say we know much less about logged and disturbed forests than primary forests. In particular, the resilience of these forests i.e. their capacity to respond to short-term perturbations (e.g. ENSO-induced drought) by resisting damage and recovering quickly, is poorly understood. If we are to manage tropical forests, both in terms of their initial exploitation and subsequent regeneration, we need to better understand how these systems respond to environmental and climate change at local to regional scales. Only then can we develop policies and practice that explicitly take into account drought and climate impacts and can both protect and maximise economic and societal benefits from these fragile ecosystems. The Project: To provide the evidence from which policy makers and practitioners can better plan forest management strategies the NERC-funded STEED project (Spatio-TEmporal Dynamics of Forest Response to ENSO Drought) is examining the impact of the current ENSO drought conditions on logged forests in Borneo, SE Asia, in conjunction with longer term research on forest response to disturbance. We’re doing this using a combination of ground-based and satellite remote sensing methods. This includes drone-based assessments of canopy structure and liana growth, high-spatial resolution satellite images detecting tree mortality and regional assessment of drought response using Sentinel-2 and NOAA AVHRR satellite imagery. All of this is backed-up with in situ measurement of forest response at a network of forest plots, established over 20 years ago and re-measured just prior to the current ENSO-drought. 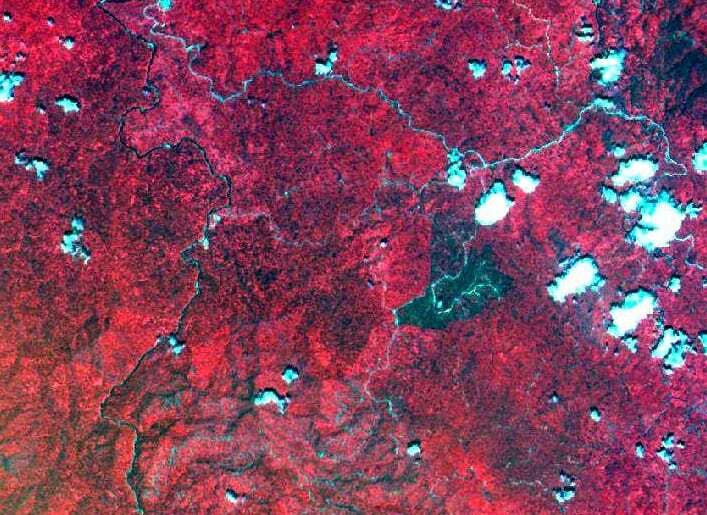 False colour composite SPOT HRV satellite image of the Danum Valley area. Note the dark area towards the right/middle of the image – this is an area of seedling mortality caused by the last big ENSO event in 1996. This entry was posted in Uncategorized and tagged climate change, earth observation, El Nino, remote sensing, STEED Project, Tropical Forests on October 21, 2016 by Mark Cutler.